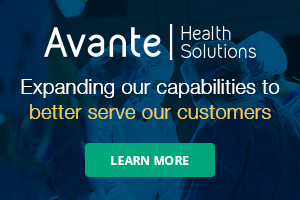 There is confusion in the Healthcare Technology Management (HTM) clinical engineering (CE) field about what exactly constitutes a quality CE program. My perspective is borne from over 20 years as a technician and manager, from working as part of an in-house team, third-party providers, and as a third-party manager of an in-house team. Through the years, I’ve heard varying descriptions of what a HTM program should look like, varying ideas about how to create a quality program, and even more opinions on how to maintain a successful program. So what does quality mean when it comes to the Alternative Equipment Maintenance (AEM) program? Does having a quality program mean PMs are being completed on all equipment? And what is PM? Preventative Maintenance? Planned Maintenance? Performance Monitoring? If we struggle as an industry to specifically define what PM stands for, how can we, as an industry, define and quantify what constitutes a sound HTM program? Does having a quality program mean that all PM tasks or all PM checklists are model-specific? Do all technicians in the facility or across the organization accomplish the tasks in the same manner? Is there standardization, and how is that maintained? What is the true goal of HTM professionals? One opinion, and the one I align with, is that the role of a HTM professional is “to provide a safe, reliable, and cost-effective HTM program.” Sounds good, but what does that mean? Let’s step back and look from the perspective of the Centers for Medicare and Medicaid Services (CMS). CMS, through the 2012 SOM, requires all medical equipment to be on the inventory with maintenance strategies assigned. Regarding specific task sheets, the organization must follow all manufacturer recommendations, including specific task sheets. However, CMS did drop the requirement for OEM tools and allow equivalent. An AEM program is not mandatory and has restrictions (i.e. imaging). It is only through an AEM program that the organization can use evidence-based information to deviate from a manufacturer’s recommendations. In developing a HTM program, facilities often rely on OEMs to determine if equipment requires a PM. Does the unit benefit from PM? Why or why not? Is the position on PM for each piece of equipment defensible? What is the PM meant to accomplish? How do we measure its efficacy? So where does this leave us? A true AEM program requires the collection and analysis of equipment-specific data. A preliminary step is to determine a method of scoring equipment and establishing a baseline performance level. This method must consider CMS requirements. Once the baseline is established, data collection can begin. Analysis of the data will reveal that (1) the equipment is operating safely and that no adjustments are needed or (2) that the equipment (and therefore the program) would benefit from a PM program. An example may be a central station in a carpeted area that benefits from an increased PM cycle because of the buildup of dust in the unit. Failures will be reduced by cleaning this unit out on an increased frequency schedule. Hence the term preventative maintenance. The goal should be to use the data collected to help determine true risk and then create a PM procedure that addresses the need. If this is completed correctly, the program is truly defensible and can be viewed favorably. These are simple steps that we, as an industry, can take to focus on what actions truly keep our patients and staff members safe versus what may simply be rote and yield little in terms of safety or efficacy. 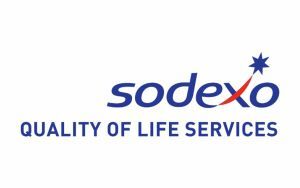 Randall R Cowens, MBA, CBET, is the Regional District Manager for Sodexo Clinical Technology Management and acting Director of Clinical Engineering for St Luke’s Health System Idaho. His career spans more than 20 years in Clinical Engineering serving both in-house programs and third-party organizations. 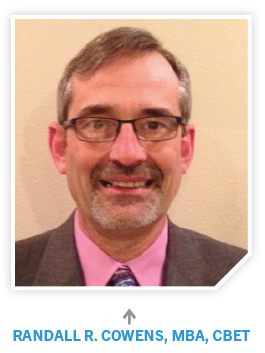 He is an active member of the AAMI Standards Committee and the Intermountain Biomedical Society.